Mrs. Shin went on vacation to Jeju Island with her two kids, who are four and five. Since she is busy working at the office, she is planning to spend a lot of time with her children and searched for places to visit. Mrs. Shin arrived at a restaurant she had heard about on the internet before coming to Jeju Island. However, she was very disappointed to find a sign saying that "Children under the age of 13 are not allowed to enter." Eventually, she had to ask the owner of the restaurant to give her food for take out. 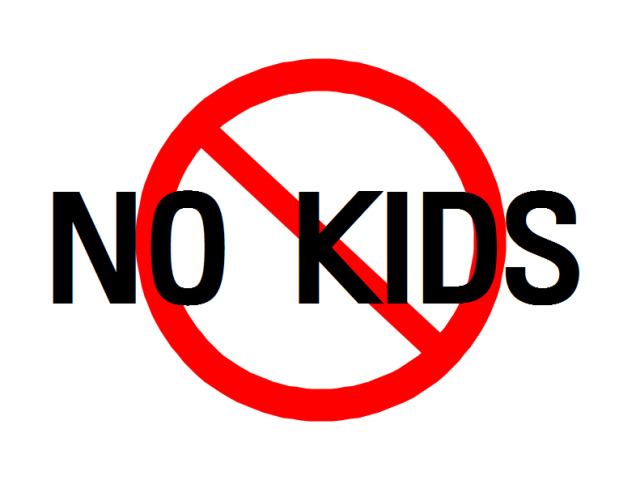 No Kids Zones are usually restaurants or cafes that do not accept customers with children and infants. There has been an increasing number of those at popular tourist destinations such as Jeju, Gyeongju, and Busan. 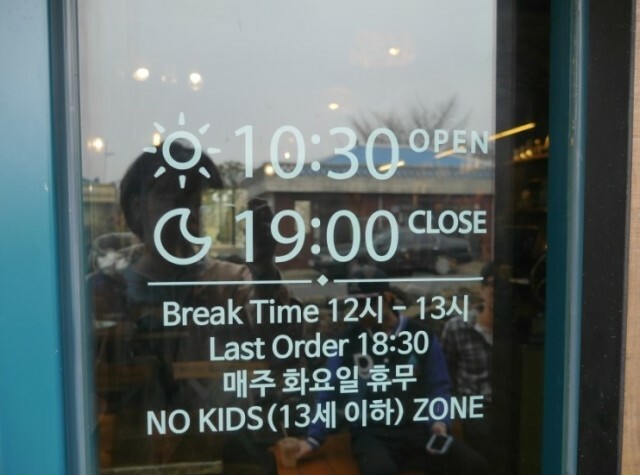 It is a policy that started in Seoul around five years ago when many cafes and restaurants started to stop letting children into the premises. On the other hand, people argue that No Kids Zone is discriminating against children. Is there any legal ramification? There is no legal problem at all. For example, if I am a restaurant owner and I decide that I don’t want to sell food to a certain person, it is okay in terms of the law. On the other hand, if the person still tries to get into the restaurant, the person will be guilty of breaking and entering. In other words, the owners of restaurants that don’t allow children are not breaking any laws. Have you ever heard of the word mamchung? Mamchung is a compound word made up of the English word Mom and the Korean word for insect, which is Chung. This term is often used in a negative way for mothers who are selfish and inconsiderate when it comes to raising their children. A popular opinion is that No Kids Zone cafes have been gaining popularity because of those moms who didn’t teach proper etiquette to their children. The word mother represented dignity or nobility for a long time, but now is used to mock or criticize in the Korean society. Rejected from a cafe because of your kids? Then check out these Kids Cafe!